Canadians are concerned with the health and sustainability of the food they eat, and, as more and more people struggle to put good food on the table, our food system has become an issue of increasing priority. 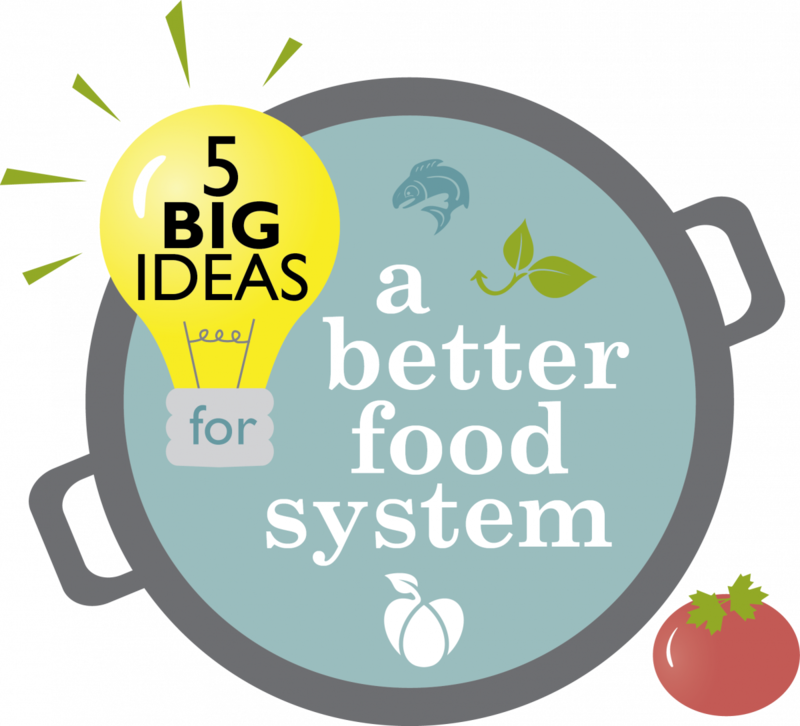 FSC submitted to the government Five Big Ideas for a Better Food System. As part of this consultation process, FSC submitted to the government an overarching Policy Brief, structured to respond to the Government’s four themes. As the Government develops A Food Policy for Canada to provide an integrated approach to food-systems, governance has emerged as a critcal issue. The report A Case for a National Food Policy Council was compiled at the request of an informal network of organizations from the food business, farming, civil society, philanthropic and academic sectors interested in national food policy, convened by the Arrell Food Institute at the University of Guelph, the Canadian Federation of Agriculture, Food Secure Canada, Maple Leaf Foods and the McConnell Foundation. Food Secure Canada's Executive Director, Diana Bronson, appeared before the House of Commons' Standing Committee on AGRI, to share our key priorities for A Food Policy for Canada. 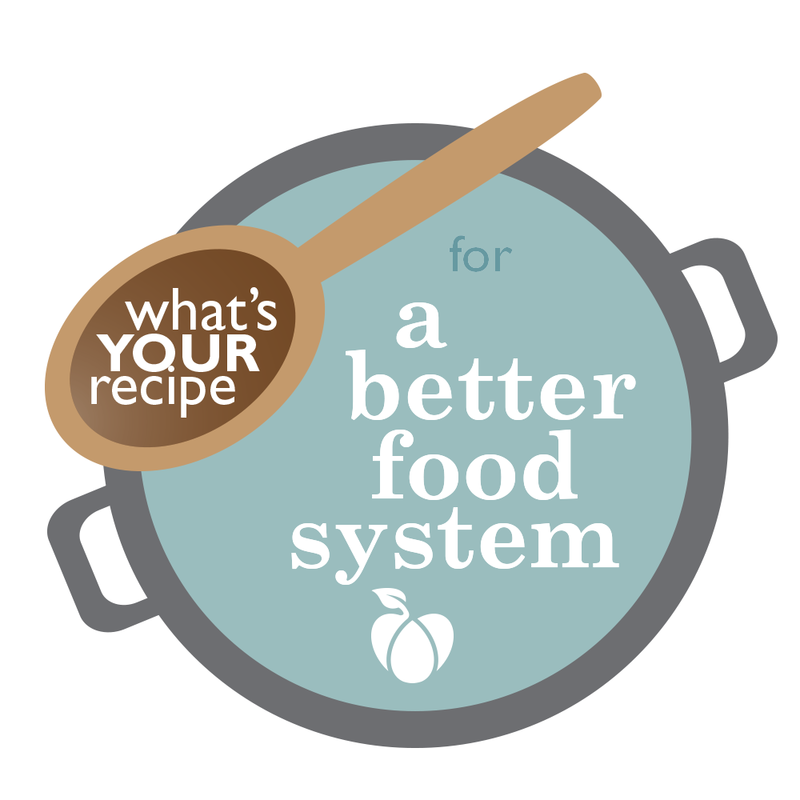 What’s Your Recipe for a Better Food System? were community engagement allowing the community to provide input for A Food Policy for Canada. Food Secure Canada members hosted 23 in-person events across Canada and 4 web sessions between July 15 and September 30, 2017. FSC signed on a special brief on the right to food developed by PhD student Nadia Lambeck on behalf of the Ad-hoc working group on the right to food. The brief is supported by a range of human rights groups and experts. 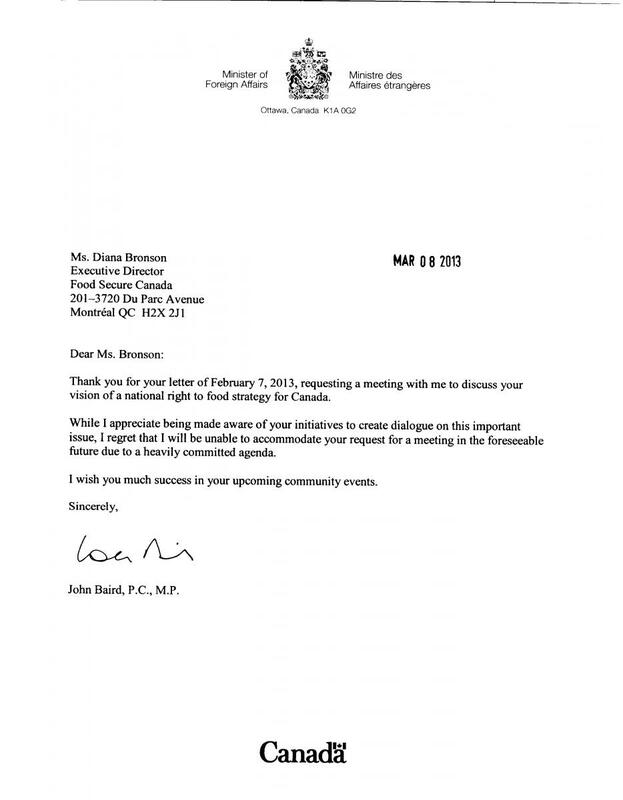 This brief is a direct follow-up to the Mission of the UN Special rapporteur on the right to food in 2012. This initial discussion paper outlined the key principles and priorities that should be addressed as the consultation is undertaken and as the policy is developed. A series of discussion papers exploring policies in the areas of sustainable ag, school food, new farmers, indigenous and northern food sovereignty, local and sustainable food systems and food insecurity. Eat Think Vote was a campaign organized by Food Secure Canada and other partners to bring attention to national food policy in the next Canadian federal election. 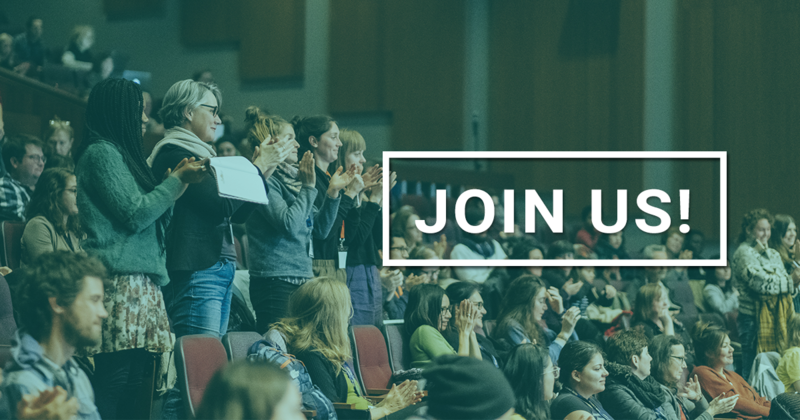 The People's Food Policy Project (2008-2011) mobilized approximately 3,500 people across Canada in a grassroots initiative to develop a food sovereignty policy for Canada. Ten policy discussion papers of the People's Food Policy capture the many ideas and conversations that came out of our Kitchen Table Talks (2010-2011).